The fundamental concept of this restaurant is “Welcome to Uhee’s home for sushi” where we tried to preserve the appreciation of Uhee’s spirit and skill and exquisite food. It was a key for us to develop our design. The site is a storefront that belongs to old compound with 4-m high ceiling. We took advantage of that feature and designed it in a classic home roof simply referring to Uhee’s home. The choice made for primary wall finishing, weathering teak, was coming from the element of salmon’s section due to its natural and beautiful pattern. Transparent ball-shaped lamps are the metaphor of Roe with fresh impression to give the atmosphere more energy. Overall, the materiality has the purpose of optimizing the simplicity and elegance and avoiding excess decoration in the environment. There is also an evident contrast when customers step into tranquil interior from noisy outside. 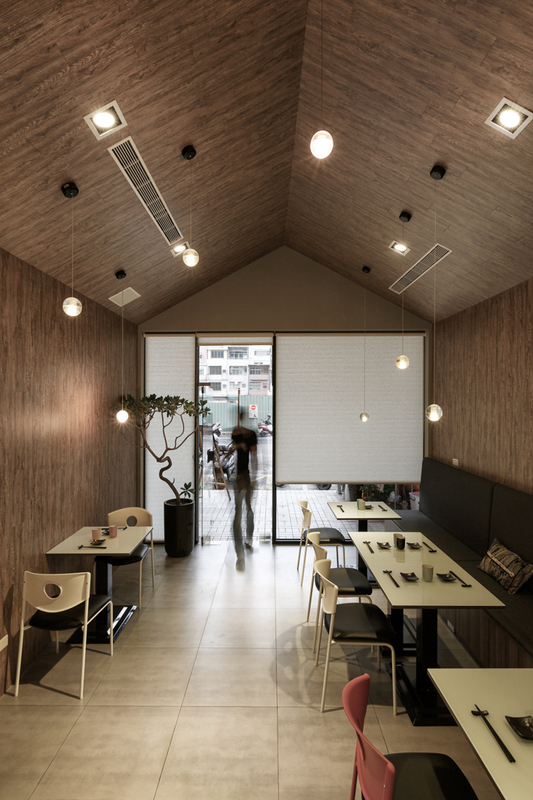 Customers, delicate space with a few seats and bar where chef performs his talents are the integration of Uhee Sushi.